NEW YORK – Ahead of Giving Tuesday and holiday season charitable giving, Attorney General Underwood today released the annual "Pennies for Charity: Where Your Money Goes; Fundraising by Professional Fundraisers" report, which found that nearly one-third of charitable donations ended up in the pockets of professional fundraisers. This year's report looks at fundraising trends such as online crowdfunding as well as the percentage of funds raised that went to charities. New York has a robust charitable sector, supported by generous giving by New Yorkers. In 2017, more than $1.18 billion was raised in New York State through 964 fundraising campaigns conducted by professional fundraisers on behalf of charities. These campaigns, which are the focus of the report, used a range of methods including special events, direct mail, and telemarketing. The report and the searchable Pennies for Charity database containing the underlying data is posted at www.CharitiesNYS.com. Of the more than $1.18 billion raised through campaigns conducted by professional fundraisers, charities netted over $812 million, or 69% of the proceeds, while professional fundraisers' fees and expenses totaled $372 million, or 31%. 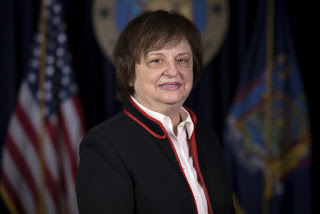 "New Yorkers are generous in their charitable giving – and they should know how their dollars are being spent," Attorney General Underwood said. "Too often, a large percentage of charitable dollars are pocketed by outside fundraisers rather than going to the cause itself. I urge all New Yorkers to be careful, and to report suspicious entities to my office." This year's report also looked at recent fundraising trends, such as the increase in use of crowdfunding platforms. Telemarketing, while continuing to decline as a fundraising method, remained among the costliest mechanisms, with 271 telemarketing campaigns by fundraisers retaining more than 50% of funds raised for charities. "Pennies for Charity" aggregates information from fundraising reports filed with the Attorney General's Charities Bureau for campaigns conducted by professional fundraisers on behalf of charities in the previous year. Professional fundraisers must register with the Office of the Attorney General and provide financial reports that break down the revenue raised and the expenses generated by the campaign. In 313 campaigns, or approximately 32% of the campaigns covered in the report, fundraisers retained more than 50% of the funds raised, with 49% or less going to the charity. Charities retained $812 million overall of the funds solicited from the campaigns; fundraisers retained $372 million. In 156 campaigns (16%), fundraising expenses exceeded charitable revenue. In 2017, this loss to charities totaled more than $10 million. The Office of the Attorney General actively investigates suspect fundraising practices. In the past year, the Charities Bureau's Operation Bottomfeeder shut down the Reserve Police Officers Association, a sham charity that raised more than $15 million over a decade of telemarketing campaigns, but in some years spent less than $300 to aid reserve officers and their families. Operation Bottomfeeder also shut down a Brooklyn-based professional fundraiser, Menacola Marketing, that frequently misrepresented charities' work in its telemarketing campaigns, and that retained 85% of the funds it raised for charities. To assist charities in navigating the world of professional fundraisers, the report includes tips for charities hiring fundraisers. Search the charity's name on the internet for reports of possible scams or law enforcement actions and check the charity's rating on watchdog sites like Charity Navigator (www.charitynavigator.org). Know Where Your Money Will Go. Ask specifically how the charity plans to use your donation, including the services and organizations your donation will support. Avoid charities that make emotional appeals and are vague in answering your questions. If you have been contacted by a telemarketer, review Pennies for Charity to see how much is spent on fundraising costs and how much is kept by the charity. If you choose to consider the caller's request, ask how much of your donation will go to charity and if the telemarketer is being paid; many telemarketing companies receive most of the money they raise. Be wary of claims such as "all proceeds will go to charity." Telemarketers are required to identify themselves and their employer and tell you they are being paid to call you. They also must respond truthfully to your questions. Don't fall for pressure tactics, such as repeated phone calls or threats. These are signs that the organization may not be legitimate. Always remember you have the right to say no to any charitable request. You can ask to receive information about the cause and a solicitation by mail. Consider making a plan for your charitable giving so you are not vulnerable to sudden pressure. To Help in a Disaster, Give to Organizations You Know or That Have Experience in This Work. Ask if the charity has already worked in the affected area or has relationships with local relief organizations. Report Suspicious Organizations. If you believe an organization is misrepresenting its work, or that a scam is taking place, please contact the Attorney General's Charities Bureau at charities.bureau@ag.ny.gov or (212) 416-8401. Hanna Rubin, Director of Registrations and Fundraising Sections for the Attorney General's Charities Bureau, authored this report, with the support of Charities Bureau Fundraising supervisor Siobhan Blank and Enforcement Co-Section Chief Yael Fuchs. Data analysis was provided by Deputy Research Director Megan Thorsfeldt. James Sheehan is the Charities Bureau Chief and Karin Kunstler Goldman is the Deputy Bureau Chief. The Charities Bureau is part of the Social Justice Division, led by Executive Deputy Attorney General for Social Justice Matthew Colangelo. More information about the Attorney General's Charities Bureau and organizations regulated by the Bureau may be found at www.CharitiesNYS.com.